DongInRyun (Solidarity for LGBT Human Rights of Korea). Korean Gay Men’s Human Rights Group Chingusai (meaning “Between Friends”), was founded in February 1994 and was established to correct society’s prejudice against distorted views of homosexuality, to protect and promote awareness of gay people’s human rights, to develop and disseminate a healthy gay culture that will help gay people to live with pride, and to promote AIDS prevention and protect HIV positive people’s human rights. KSCRC, a not-for-profit organisation founded in 2002, is a center for sexual minorities (lesbians, gays, bisexuals, transgenders, queers and “iban”’s), people who have HIV and/or AIDS. They advocate for the rights of sexual minorities in Korea and beyond. KSCRC aims to provide a safe and creative place for culturing LGBTQI’s own sexualities and genders as well as empowering LGBTQI’s by means of various cultural events, research, education, policy advocacy, counseling and publication. DongInRyun initiated as LGBT University Student Association in 1997, was founded in 1998 and continues to work actively for Korean sexual minorities to this day. Most of all, the social action and solidarity with other minorities is an important code of conduct. Specifically their main goal is to advocate the human rights of not only LGBT young people, but also people with HIV and AIDS. They organise sexual minority labors to guarantee their working rights and empower the professional consultation program for LGBT too. 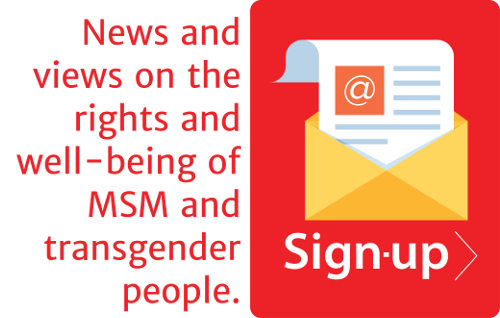 They have also developed a monthly webzine, which includes various news and columns for sexual minority groups. You can view a copy of this webzine by clicking here. For more information about LGBT human rights organisations in Korea, please download the attachment. Photo Caption 1: Chingusai performers at the Annual Music Performance. Photo Caption 2: Chingusai activist at a street rally against homosexual discriminatory activities by a local borough office. Photo Caption 3: LGBT rally engagement during May Day activities. Photo Caption 4: DongInRyun activists at a Press Conference for enacting a Comprehensive Anti-discrimination law.